Oriental countries are dedicated to the hydrographic profession but don’t often beat the drums in order to be heard. There’s a lot of work being done, though. One example is Myanmar, a country with several hundreds of kilometres of coastline and many islands as well as inland navigable waters. 'Hydro International' interviewed Commodore Min Thein Tint, Commanding Officer of Myanmar Naval Hydrographic Centre, Myanmar Navy, on capacity building, offshore and inland navigation, data policy and cooperation with the business. How is the MNHC improving its capabilities? Although MNHC became a member of IHO in 2004, the office was founded in 1955 and further developed in the early 1960s. The MNHC’s first navigation chart was ‘Myeik’ Harbour Chart and was published in 1960. The first survey vessel was procured from Yugoslavia and commissioned into hydrographic service in 1965. The ship was named Thutaythi and it was decommissioned from the service in 2002. The survey ship Thutaythi was used in hydrographic services for more than 20 years but sunk in 2008 due to cyclone Nagis. There are currently three survey ships in hydrographic service: Offshore Hydrographic Survey Vessel InnYa, and nearshore survey vessels 807 and 115. MNHC had been using traditional surveying methods and manual chart compilation until the early 2000s. After a period of not receiving any hydrographic and cartographic training from the International Hydrographic Organization and regional coordinators, MNHC was able to send an officer to India for an MSc Hydrography and CAT-A Hydrographic Training in 2005. After this first officer, MNHC sent many of its personnel to India for Hydrographic Training. This is how MNHC could build its human resource and on the other hand the scholars brought knowledge of new technologies so that MNHC could upgrade its capability and transform its chart production process from manual compilation to fully digital compilation. In this regard, MNHC had to struggle to obtain funds from the government to procure the modernised instruments, Equipment and software required for its revolutionary process from manual compilation to digital compilation. The next step for MNHC was participation in the international Hydrographic Community. MNHC managed to send its delegations to international and regional Hydrographic events and MNHC hosted the 13th North Indian Ocean Hydrographic Commission meeting at Yangon in 2013. Capacity Building efforts, procurement processes and the participation in national, international and regional hydrographic communities subsequently generated the appropriate achievements. In the ten years after 2006, MNHC has managed to build reasonable manpower, has modernised technologies, participates in the international Hydrographic Community and has started Electronic Navigational Chart-ENC production. I have to say that the adopted mission ’Revolution of Chart Compilation Process from Manual to Digital’ has now been achieved and the capability is at a reasonable level. What is MNHC’s policy on making data, more than just charts, available to government departments, commercial developers and the public? MNHC’s chart compilation process could be divided into two categories: classified information and public information. Classified information is only available for the Myanmar Navy and might also be available to government departments for different purposes. The other data is for public use, especially for safe navigation in Myanmar waters. MNHC doesn’t share its classified data with the public but only the data required for safety of navigation. As things are only just starting to pick up, MNHC may consider expanding its commercial chart distribution process with resellers later. This process may also require the prior consent of government authorities, but I expect to start this commercial chart distribution process in the near future. Myanmar has a complex and long coastline, which spans over several hundred kilometres and comprises many islands. Could you describe the effort required by the Hydrographic Centre to survey it? Yes, the statement is correct and it seems to be a challenge for MNHC to complete surveys that cover the entire national waters. MNHC has annual survey plans and chart compilation processes. The priority of the survey area is generally set based on the importance and traffic density of an area in the country. We also try to make our data with competencies that meet the standards of the IHO. The effort required to complete this task is divided into four main categories: in terms of HR, New Technologies, Survey Platforms (Ships) and Budget Availability, which are all brought into a single word ‘upgrading capability’. In other words, there are challenges in each and every single category, namely HR, New Technologies, Survey Platforms and Budget Availability and the more we can put the plus factor in each and every category, the more we could carry out the surveys and we are always trying to achieve this. Myanmar ratified the United Nations Convention on the Law of the Sea (UNCLOS) on 21 May 1996. How does MNHC support the government in the implementation of that convention? MNHC has been participating and consulting in the adoption of the National Maritime Zone Law in Myanmar. MNHC has been mainly involved in the delimitation of the maritime boundaries with neighbouring countries. MNHC had a leading role in the technical matters involved in the Myanmar-Bangladesh maritime boundary dispute, which was peacefully resolved in 2012. . MNHC also took part in a geo-physics survey conducted for the submission of Continental Shelf in 2008. At present, there are Continental Shelf overlapping areas in the Bay of Bengal and MNHC encourages the respective intergovernmental organisations to conduct the process of discussion, negotiating and lawful settlement of the limitations for those overlapping CS areas which could create disputes with neighbouring countries. Discussions on the rights and agreements on gray areas formed after judgement by ITLOS and arbitration between India and Bangladesh are also expected. These are some of the steps being taken by MNHC in complying with and implementing the UNCLOS in the country and with neighbouring countries. What are the initiatives of MNHC to survey and chart those inland waters, such as lakes and rivers? The responsibility of hydrographic surveying of areas in the country is shared by several government organisations, such as the Doctorate of Water Resources, Improvement of River System-DWIR and Myanmar Port Authority-MPA. However, MNHC cooperates with those organisations and supports technical suggestions and consultations, where necessary. What inland water surveys and charting efforts are necessary to keep the navigational information of those waterways up to date? As mentioned in the previous answer, the hydrographic survey responsibility for all national waters are shared by different government organisations. 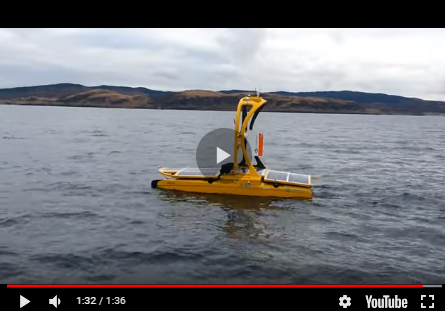 The Port Authority is responsible for conducting surveys in port limits, DWIR for inland waters and MNHC is responsible for conducting surveys anywhere from the national waters up to maritime boundaries and EEZ. But MNHC is the only organisation authorised to produce nautical charts and various related publications such as Sailing Direction, Annual Tide Table, etc. For example, MNHC conducted surveys in the Yangon River, which falls within port limits, and MNHC produced a nautical chart and ENC. Another deep-sea port in country, Kyauk Phyu Harbour, is also depicted as chart number 24a and 24b. The survey was done by MNHC and it is now in the process of ENC Production, although it is in the port limits. MNHC receives up to date data from the following organisations: MPA, DWIR, Oil and Gas Enterprise and some private offshore companies as they would like to include their oilrig and pipelines in charts. But there is no legislation to which organisations have to abide for sharing navigational information. The next step for MNHC will be to put more effort into receiving more data in accordance with official and legal assent in the country. In April 2017, the first Assembly of the IHO will take place in Monaco. This will be a key point for the implementation of substantial changes to the IHO Convention. How do you see those changes? The IHO conference is a really good opportunity for hydrographers to meet and make friends, it encourages the best cooperation, sharing and exchange of knowledge, helps to establish standards and discuss the difficulties being faced in different parts of the world in terms of hydrographic matters. As we all know how important the Safety of Navigation is, we need more reliable nautical charts and to share information. We need to assist countries that are delighted in being able to open up their hydrographic interests and developing countries in terms of hydrography. Hydrographically developed countries should give a hand to developing countries in terms of capacity building and other support. This will ensure that all countries reach a similar level and enable them to perform hydrographic tasks and establish worldwide safety of navigation. What is your opinion about the cooperation of the industry with the governmental Hydrographic Offices and in particular with MNHC? As a governmental Hydrographic Office, we welcome the industry to cooperate with us to achieve the safety of navigation goal under the same umbrella of the Hydrographic Community. Technology and new instruments are also welcome but this will entail a process of balancing between requirements and budget available for a Hydrographic Office. I would be more delighted to see industries invent more new technologies and equipment that are easy to use. Do you have a message for the young people who would like to become hydrographic surveyors? Hydrography is a critically important subject for a country, especially coastal countries. Not very many people become hydrographers in a country. Hydrography and hydrographic surveys are the essential first stage to improving ports and implementing the waterways, which effectively support the national economic sector. It is also a related subject of studying environmental changes, disasters and Law of the Sea matters. The reason that not many people become hydrographers is because there are not many education centers, schools or universities capable of teaching Hydrography in the world. This means that we require more education centres for Hydrographic training and degree courses. Roughly two-thirds of the world is covered by oceans. The exploration and exploitation at sea still requires more highly skilled manpower with knowledge of Hydrographic Science. My heartfelt message for the young people wishing to become hydrographers is “If we only look to the end of land, we only get land but if we look at the land and proceed further to the end of the sea, we get everything”. Commodore Min Thein Tint, Commanding Officer of the Myanmar Naval Hydrographic Centre (MNHC) joined the Defence Services Academy- DSA in 1977 and graduated with a BSc (DSA) in 1981. He completed the local hydrographic course in 1986 and after specialisation, he served as a navigation officer onboard survey vessels. He served as head of Hydrographic Division and also head of the Cartograhic Division at Myanmar Naval Hydrographic Centre. He was assigned as deputy Commanding Officer of Myanmar Naval Hydrographic Centre in 2001. Cdre Min Thein Tint participated as the head of the Myanmar delegation in the 2012 IHO Conference.